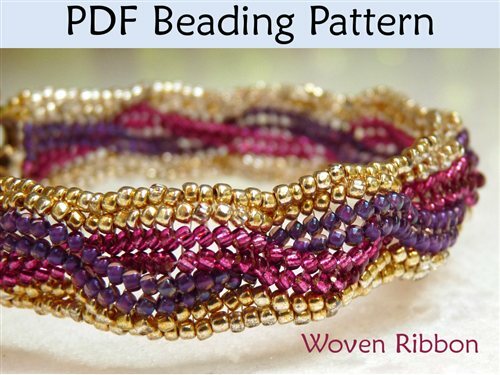 This fun beading pattern will teach you how to make a lovely “Woven Ribbon” herringbone bracelet! With over 100 high resolution full color photos and easy to follow step by step directions, you’ll have the perfect new beading project to dive into! It would be helpful if you have some experience stitching with beads, but don’t be afraid to tackle this project if you don’t – the steps are broken down so you can easily learn this beautiful pattern! Enjoy!